Halloween is a time for fun, festivities and sweets! As well as being a fun time, Halloween can be also be a scary proposition for people with diabetes wanting to keep their sugar levels under control. Along with the hair-raising tricks, there's the promise of plenty of blood glucose boosting treats. With the exception of Easter and Christmas, Halloween can be one of the greatest annual challenges in avoiding sugar-filled snacks, but with the right preparation and mindset (not to mention some forum research and helpful tips from the community), it can be one of the highlights of the year. There’s certainly more to Halloween than sweets and it only takes a bit of time and creativity to shift the attention from sweets to other fun activities like dressing up and getting made up for Halloween and playing spooky games. Should people with diabetes avoid sweet stuff at Halloween? Not necessarily, portion control is often key. A variety of small and interesting treats, together with more blood sugar friendly options such as carrot sticks, nuts, and cheese and apple chunks on cocktail sticks will add novelty value without testing will-power or impacting blood glucose levels so much. 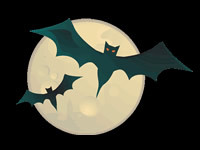 The Diabetes forum contains numerous low-sugar recipes for enjoying events like Halloween and for more great ideas see our page on low-sugar treats for Halloween. I am diabetic; can I enjoy chocolate at Halloween, just for one night? Unless you need to be strict with carbohydrate or calorie intake, chocolate needn’t be ruled out but again portion control is important. Smaller but more interesting looking chocolate can be more rewarding than larger quantities of plainer chocolate. Out of the different types of chocolate available, dark chocolate comes out top in terms of the lowest percentage of carbohydrate. Read the nutrition labels to help with choosing chocolates with lower carbohydrate content. Should I eat sugar-free candy to control my diabetes at Halloween? The choice is yours. Sugar-free treats will usually have a smaller affect on blood glucose levels than sugary sweets, so if a minimal effect on blood sugars is your number one priority than sugar free versions may be best. Note that sugar-free sweets containing sugar alcohols (such as maltitol, mannitol and sorbitol) can have a laxative effect so are best eaten in small quantities. Read more on the differences between a variety of sweeteners. So should I avoid Halloween celebration altogether as a diabetic? Absolutely not. With the right amount of preparation Halloween can be an amazing event for people with diabetes, especially young people and teenagers. Small amounts of treats may be included as part of a healthy diet, but always make the most informed choices by researching your options, reading the label and exercising portion control. Sweets and treats on Halloween don’t need to be scary, just approached in the right way! Don't forget, if you're drinking alcohol to drink in moderation. Fun-sized snacks in limited numbers provide a safer alternative to full size versions, but if your son or daughter goes trick or treating watch out for confusing rises in blood glucose levels. Explain the situation calmly and encourage your children to be honest. Either encourage your children to test or test them yourself to make sure blood sugar levels have not risen too far. Should I test blood glucose more regularly at Halloween? Regular testing is very useful around Halloween, as it can determine how much of an effect anything sweet is having on your diabetes. Similarly, for children, testing is essential to stay on track. The excitement and activity of Halloween could also end up in blood glucose levels dropping, particularly if more insulin than usual has been taken for the evening. Have glucose tablets on hand to deal with a hypo. The other side of the coin is that blood glucose levels may go too high. Watch out for the signs of hyperglycemia as well and keep a regular check on levels to minimise the risks of diabetic ketoacidosis developing. What the community are saying about halloween? SophiaW: Jess loves the whole Halloween thing, from deciding how she's going to dress up to carving pumpkins and decorating the outside of our front porch with scary things and of course going out trick or treating. She's very responsible about her sweets; she has dinner and a bit of extra insulin to cover the evening. Then out they go around the neighbourhood, she has two or three sweets on the night of Halloween. The rest go into a sweet jar and she'll have one sweet as a pudding each day after her evening meal. If she has a hypo at any point then the Halloween sweets are used to treat that. We've found in recent years this allows her to take part in Halloween but still maintain good control of her diabetes. Anniep: There has been a lot of talk on a thread here about the Hartley's readymade jellies, and ways to use them - I can't eat them as they are not vegetarian, but there are sugar free jellies out there. Catherinecherub:I would add that you need to stay away from the "diabetic friendly" ones as the sugar substitute has a laxative effect. Sue32: Aye, sugar free Werthers are a regular for me AND Sainsbury's sugar free mint humbugs have recently been a find for me! Yes, Sainsbury sugar free dark chocolate is great, although their sugar free milk chocolate is high in sugar, I wish someone would make a sugar free chocolate raisin. Suzi: As for Halloween, let her go trick or treating if she's well enough and then divide her goody bag into a treat jar for hypos or for use before activities.